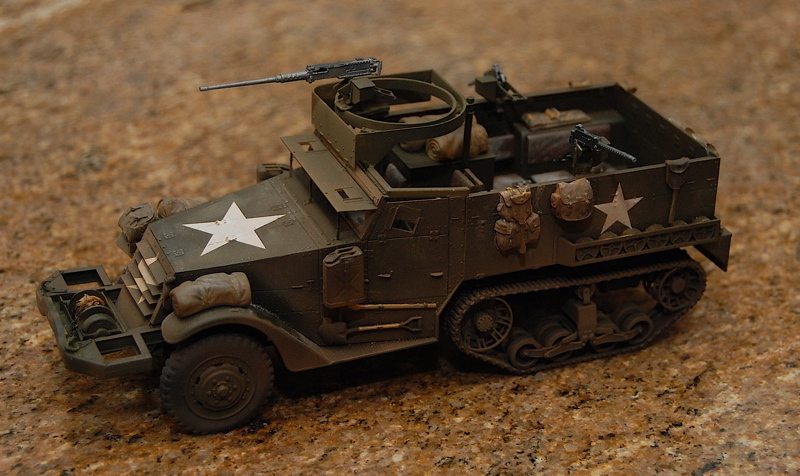 I built this halftrack early in 2010. 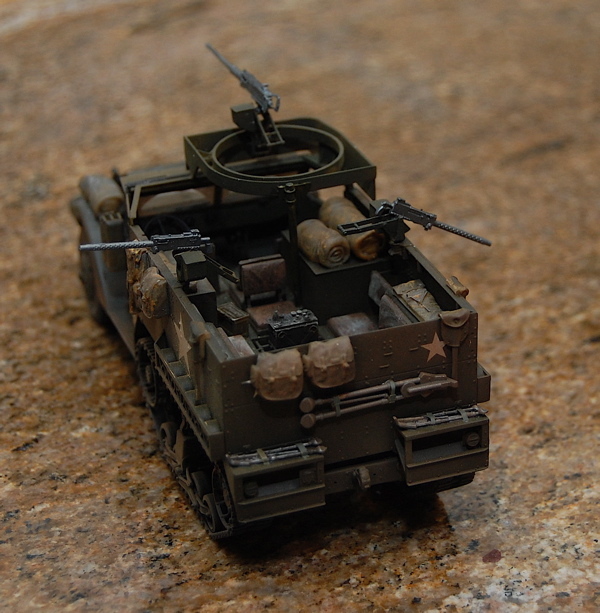 It was a fun build – I added Verlinden’s WWII resin pieces (packs, radios, ammo boxes and canteens) to busy up the interior. 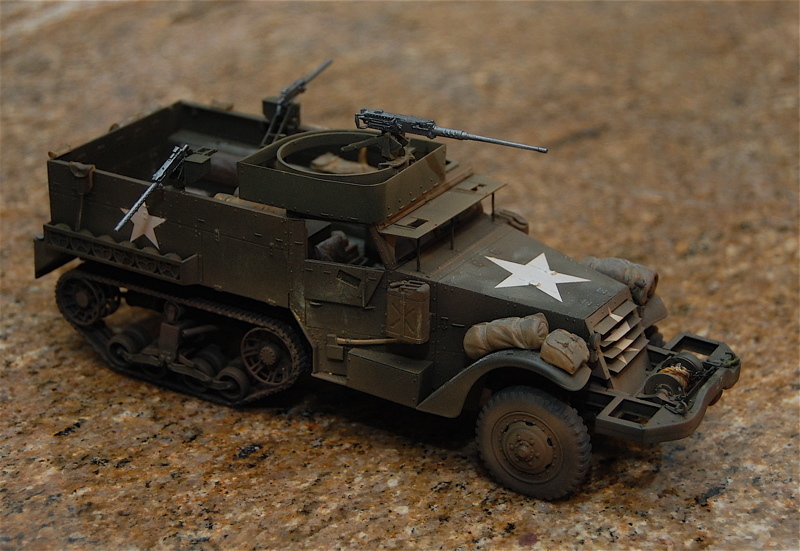 I found out last week that it is typical to have the right front fender about 6 scale inches higher than the left on this model. Turns out you need to shave off the muffler to get it to sit right – so watch this if you are building one.